Epoxy coating is one of the most toughest and durable finishes that will put life into your garage floors for years to come. Not only does it protect your floors, it can instantly transform your garage from dirty and boring to elegant and upscale. Depending on the application you choose, there are a variety of of solid colors and hues, as well as custom blends and color flakes to match your individual sense of style. 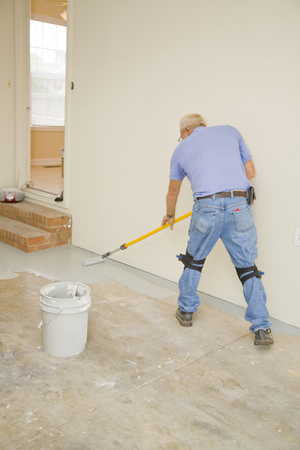 Benefits of Garage Floor Epoxy Coatings? Besides looking amazing, the hardened and thick application that you get from epoxy creates a coating that is extremely durable and resilient to impacts, chipping, chemicals, stain and surface abrasions. No need to panic if you drop a wrench or if the oil leaks on it. Since it is resistant from chemicals and stains, caused by oil, brake fluids, gasoline and other car chemicals it can easily be wiped away with worry that you damage your floors. 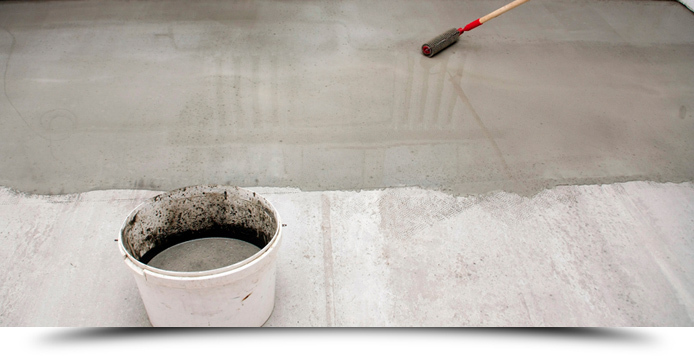 The application also covers slight cracks in the your concrete. Since the epoxy is a sealer, it’s also anti-dusting. Most dust in a garage is created when the cement floor sheds. Normal traffic on a bare floor created a dusty powder, which can easily be tracked into the house. The epoxy coating is also a naturally moisture resistant. It’s also easy for cleaning, just a mild soap and water is all that it takes. Dust and dirt can be easily swept with a mop or soft broom. In addition, it will brighten your garage since it’s extremely light reflective depending on the finish.